United are likely to seek to bolster the central defence in the next transfer window but there are also suggestions that they could pursue another central midfielder with the positions of Fred and Andreas Pereira doubtful. According to AS, the Mancunian giants are prepared to compete with the likes of Barcelona and Liverpool in the race to sign Rabiot when the season comes to a close. 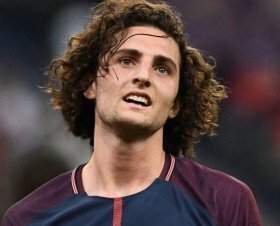 Rabiot has already declined a fresh deal with Les Parisiens beyond the current campaign and this should see him leave the club on a free transfer unless he has a change of thought. This contract standoff has witnessed Les Parisiens dropping him from the first-team plans since December and he does not appear likely to make a return for the Champions League round of 16 clash against United tomorrow.